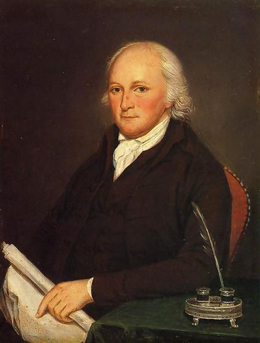 Edmund Physick was born in England in 1727 and was the sole surviving child of Mr. Timothy Physick by his wife Martha. Young Edmund entered the Proprietary service as a clerk to Thomas Penn, son of William Penn, and first came to America in 1742. Edmund would eventually be named Thomas Penn's agent in Pennsylvania, and commission him Receiver General and Keeper of the Great Seal of the Province. Edmund Physick was the last to hold this position. As the agent of the Penn family, Edmund Physick handled real estate transactions and collections of quit rents. Among his many communications and negotiations with property owners and their conflicting claims, Physick paid the Penn portion of the expenses for Mason and Dixon's surveying of the boundary between Maryland and Pennsylvania, and the line establishing Delaware's western border. When Edmund Physick married Abigail, the first of silversmith Philip Syng Jr.'s eighteen children by his wife Elizabeth Warner Syng, at Christ Church on February 2, 1758, he was marrying a woman with deep roots in Philadelphia. Abigail's father who had arriving in Philadelphia as a twelve year old boy was an emanate tradesman, public servant, friend of Franklin and member of his Junto. Abigail Syng's mother, born Elizabeth Warner, was the great granddaughter of the commander of New Sweden, Captain Sven Skute and his wife, Anna Johansdotter from Nasby farm, Sweden. After waiting seven years for her husband to return and take her to America, Anna had arrived pregnant with Sven aboard the "Eagle", only to witness her husband rowed ashore to witness the surrender of the Dutch Fort Casimir which had been built to block entrance to New Sweden. Renaming it Fort Trinity, Sven and Anne would movie up Delaware and then Schuylkill River after surrendering New Sweden to Dutchman Peter Stuyvesant the following year. Sven and Anne's daughter Christina Schute would marry one of the first Englishmen to settle near what is today Philadelphia, William Warner Jr. William had come with his father to the Delaware River in 1675 after a short stay in the less than tolerant The Massachusetts Bay Colony. William and Christina Warner's descendents would settle major parts of what is today West Philadelphia. Engaged in the intellectual, scientific and political circles of Philadelphia, Edmund Physick served at a pivotal point in the history of America's first Scientific Association, The American Philosophical Society. Franklin's Philosophical Society of 1743, which had grown from his Junto of 1727, had become inactive with his absence well before the 1760's. Edmund Physick and his brother-in-law, Philip Syng III are listed as in attendance in the earliest surviving minuets of the Young Junto, later to be renamed The American Society. This society for "mutual improvement" had been formed in the early 1750's by a group of younger Philadelphian's, which named and patterned it after Franklin's Junto. The minuets of the Young Junto of April 1, 1759 note that Philip Syng III was absent due to illness. He had been attending regularly and had served the society as chairman and secretary. With the death of young Philip Syng in 1760, and that of Francis Rawel a few months later, a pall settled over the small Young Junto and within a year it would be virtually inactive. Charles Thomson with the help of Edmund Physick revived the inactive Young Junto, which officially changed its name to "The American Society for promoting and propagating useful knowledge, held at Philadelphia", on December 13, 1766. With the apparent success of the American Society, Dr. Thomas Bond, who had founded Pennsylvania Hospital with the help of Benjamin Franklin and Philip Syng Jr., was inspired to resurrect the long dormant Philosophical Society of 1743, on January 19, 1768. On February 9th, James Hamilton is elected president, Doctors William Shippen and Thomas Bond, vice-presidents, and Edmund's father-in-law, Philip Syng Jr., treasurer. After a fair bit of negotiating the two groups stopped politicizing and got down to their mission. On December 20th of that year these societies were united as The American Philosophical Society for promoting useful knowledge. Edmund Physick would be active in this new society for which his father-in-law, Philip Syng Jr. would continue to serve as Treasurer and Benjamin Franklin, despite his being away in Europe at the time, would continue to serve as president. 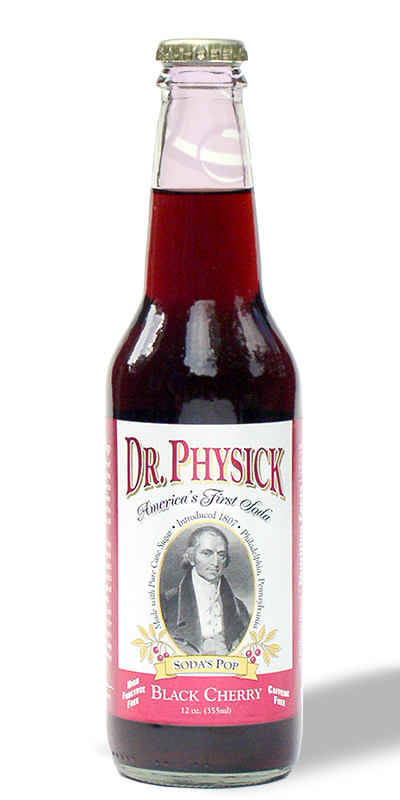 On July 7, 1768 Edmund and Abigail Physick's fourth and last child, the future doctor, Philip Syng Physick was born in Philadelphia. In June of 1775, while living on the southeast corner of Seventh and Market Street, Edmund sold the property he owned on the southwest corner to bricklayer Jacob Graff. Two rooms on the second floor of The Graff House had built would the following year be rented to Thomas Jefferson where he would write the Declaration of Independence. Later selling the house to Jacob Hiltzheimer who in turn sold it in 1801 to Hymen Gratz, Edmund Physick or his trustee's continued to collect ground rents for this property until 1805. Playing a small part in a pivotal point in the American Revolution, in the fall of 1777, Edmund Physick had negotiated with Generals Howe and Washington not to fight on the property he was managing for John Penn on the outskirts of Philadelphia. Following their agreement not to engage Howe would enter and occupy Philadelphia while Washington and his army withdrew and encamped at Valley Forge for the winter. 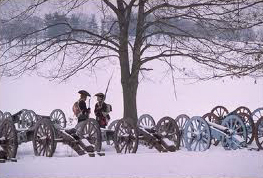 During that winter Edmund Physick visited Washington at Valley Forge and noted that the cannons were all frozen to the ground and could not have given support if called upon to defend their position. Edmund Physick although caught in the middle of many conflicting family, political, and religious interest, seems to have remained on the best of relations with all. Like his father-in-law Philip Syng Jr. and his friend Benjamin Franklin, Edmund Physick had owned slaves at one point although later working with those to abolish it. Philip Syng and his friend Benjamin Franklin had worked tirelessly to have Edmund Physick's employers, the Penn's, removed from their Proprietorship and the King of England appoint a Royal Governor for Pennsylvania. 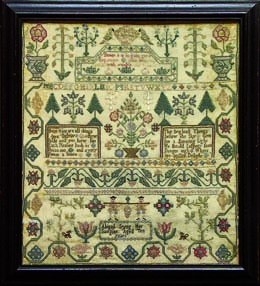 Further complicating the picture, despite Franklin, Syng and the Penn's uniting on some issues to oppose the Society of Friends wishes, Edmund's wife Abigail, and their son Philip, would attend Quaker meetings for over thirty years. Although Philip had regularly attended Quaker Meetings, he remained as did his father, an Episcopalian. When young Dr. Philip Syng Physick married Elizabeth Emlen in 1800, she would be "read out" of the Society of Friends due to his not being a member. The daughter of the famous abolitionist by his wife Sarah Mott, and preacher Samuel Powel Emlen, known as the "Quaker Seer", Elizabeth's half-brother, Samuel Powel Emlen Jr. would marry Susannah Dillwyn, daughter of another famous abolitionist, George Dillwyn. Their legacy was the founding of the Emlen Institute, which later was combined with that of silversmith Philip Syng Jr's apprentice and successor Richard Humphries legacy to become what is today Cheney State University. This is the oldest historically black university in the United States. Edmund Physick's wife Abigail apparently waited until her father Philip Syng Jr, a vestryman at Christ Church, who's father had made one of the important flagons for and the silver bowl for William Penn's Baptismal Fount in the Church to pass away before she officially sought admittance to the Society of Friends. When Abigail dies in 1891 she is buried on the grounds of the Arch Street Meeting House. Edmund Physick, although an Episcopalian, sought and was given permission by the Society of Friends to be buried with his wife Abigail at the Meeting House when he passed in 1804. As the agent of the Penn family, Edmund Physick handled real estate transactions and collections of quit rents. Among his many communications and negotiations with property owners and their conflicting claims, Physick paid the Penn portion of the expenses for Mason and Dixon's surveying of the boundary between Maryland and Pennsylvania, and the line establishing Delaware's western border. The American Philosophical Society treasures a number of documents concerning this survey. In 1844, member George M. Justice presented the society "Minutes of the Commissioners for determining the Line between Pennsylvania and Maryland." These minutes were accompanied by a volume of vouchers which Mr. Justice recorded: "The original receipts given for the money expended by the Penn family in running the line between Pennsylvania and Maryland from the year 1760 to 1768. They were preserved among bills and accounts which came into my possession through one of the descendants of Edmund Physick who, during his lifetime was Receiver General for the Penns."